Once lauded as an elixir by our ancestors, recipes of broth were passed down generation to generation so that families could provide healing and nourishment to their loved ones. Broth &amp; Co was founded by a husband and wife team who love good, clean food that’s ready to use. Authentic and made with Australian grass fed beef and free range chicken, made the traditional way and simmered for 24 hours. 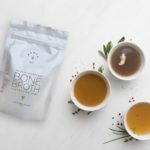 These ‘naked’ bone broths have no added salt and are all natural. Uniquely bold and distinguished in its design, the emphasis at Designer Kidz always is on quality design and craftsmanship, while the vintage spirit ensures every piece is timeless and worthy of becoming an heirloom. Composed of a lightweight, high quality tulle, this dress is an absolute essential for the fearlessly fabulous princess! 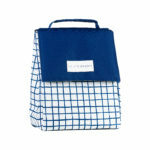 Kitchen and homewares brand, We Are Cheeky, will launch in Woolworths stores across Australia from July 25. 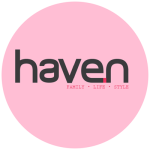 With over 60 products in the range, you’ll see a fun assortment of ceramics, bakeware, glassware, utensils, bar equipment, and baby mealtime products. The brand’s real point of difference lies within its partnership with OzHarvest, which exists to help rescue food and donate meals to Aussies in need. We Are Cheeky will donate 10c for every product purchased, with the goal of generating over 15,000 meals for Aussies in need, within the first month of going on sale.